The HAN Solarboat, named the Photon, is a solar powered boat. This boat is being worked on by enthusiastic students from the HAN University of Applied Sciences. Not only do they develop the prototypes, but they also compete in national and international races. Want to join the team? There’s always a place in the race team for motivated people. We also offer a wide variety of internships and the possibility to work on projects related to the HAN Solarboat. Curious about the speed of the HAN Solarboat? Or want to know how much distance it can cover? Click on the different hotspots on the image below to learn more. The boat is 6m long and its width is 1.80m. The boat weight, including pilot, is about 200kg. About 27kg of those 200 is the entire hull! To put this in contrast: the pilot’s weight is about 60 to 70kg and the solar pannels weight is 4 x 15kg (60kg)! The pilot needs to wear a life jacket. The life jacket can be inflated by manually pulling a wire. The pilot needs to have a navigation license. The boat can achieve a speed of up to 30 km/h. The HAN Solarboat team is always in search of enthusiastic people to come and join our team. We offer a wide variety of internships and the possibility to work on HAN Solarboat related projects. Not looking for an internship or a project, but you do want to come and join the team? A place in the raceteam might be something you’re looking for. 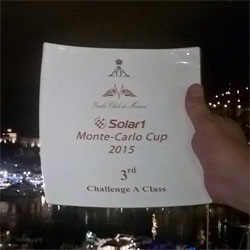 The only thing you need is a passion for solar boat racing. The HAN Solarboat is being built and maintained by students of the HAN University of Applied Sciences. As an intern you’ll be helping the HAN Solarboat achieve its next success. Curious as to what an internship at the HAN Solarboat has to offer? The HAN Solarboat is being built in IIME’s workshop in Doetinchem. There you’ll find all the tools necessary for developing prototypes. You’ll receive support from professionals. You’ll receive an internship allowance. IIME is a 5-minute walk from the Central Station Doetinchem. From February 2019 we are looking for an intern marketing & communication. Take a look at the vacancy below. LOOKING FOR AN ALTERNATE INTERNSHIP WITH A LOT OF FREEDOM? As a trainee you will be working on the communication department of IIME, the location of the HAN Solarboat team. 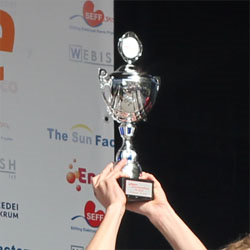 You will work with young professionals and will help with the communication and media expressions of the HAN Solarboat. 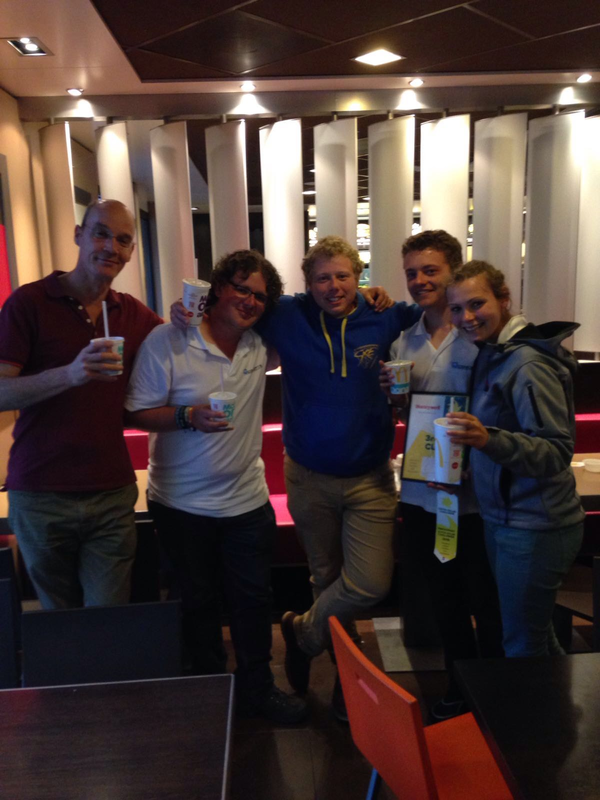 This means that you will also join the HAN Solarboat team during races in Friesland and Monaco. You will make live reports of the results of the Photon! You control the social media channels and you take care of the website. Besides this you will keep in touch with sponsors and you will look for new sponsors. In brief you will make sure that no one can miss the HAN Solarboat team! The communication department of IIME will support you with writing content, organizing events and taking care of the website. – You are at home in social media and writing for the web. Please send your motivation letter and CV to Thijs: info@hansolarboat.nl. For questions you can also contact him. From February 2019 we are looking for an intern electrical engineering. Take a look at the vacancy below. At this moment there is a screen to the steeringwheel of the Solarboat that works on Linux. At this moment there is to less information on the screen for the pilot of the Solarboat. The Solarboat has to deal with different races, all races also have different weather conditions. For every race, a new strategy must be determined by someone on shore. During this assignment the intention is to collect the data from the boat such as: GPS coordinates, generated energy and external data that have to be implemented in a model. This model must be able to show the pilot immediately whether he is sailing hard, softer or at the right speed. This means that a new calculation does not always have to be made by someone on shore. 3. In order to collect the data from the boat, a Black Box is available. However, this has become unusable due to water damage, and must be replaced by a working system so that people know how the boat is working from a distance. From February 2019 we are looking for an intern mechanical engineering. Take a look at the vacancy below. With a multidisciplinary team, HAN students work on the development of a solar-powered racing boat. This boat participates in various races at home and abroad. 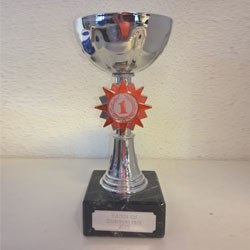 Last season, the boat gained a 4th place in Friesland and Monaco, and a 1st place in Rotterdam. The boat is continuously developed further with the emphasis on achieving the first place. Students of the HAN Solarboat team are supervised by professionals in the field by the company QConcepts (www.qcde.eu). 1) Developing hydrofoils: Water-mounted wings that generate lift, lifting the boat out of the water and creating a lower resistance and higher speed. The first prototype is under the boat, but how do they behave, and how can they be improved? The further development of these hydrofoils is important to get along with the competitors. 2) Development of a new hull construction: The racing class in which the boat is participating will change and this means that the hull needs to be adjusted to get the most out of the new regulations. For example, a new deck has to be made to replace the current solar panels with a sun deck with separate solar cells. Research into a new hull design requires knowledge of aerodynamics, but also composite materials, as the hull must be as light as possible. 3) The design of a counter rotating drive has already been developed. Now it’s up to you to design a contra rotating screw. – Possibility to participate in races at home and abroad. You’ll be working in a team, so we’re looking for real teamplayers. Even though you’ll be working in a team, we do expect you to also be independent when needed. You’re not the type to wait for something to happen. You have technical knowledge that you can apply. You’re available to partake in the races. 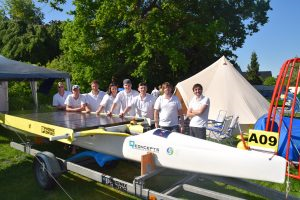 Not looking for an internship, but you do want to work on the HAN Solarboat? You can also start a solarboat related project here at IIME. Got a project in mind? The results of the races the HAN Solarboat partook in.